When Lisa Faulkner won Celebrity MasterChef it was the culmination of an emotional journey that began with her mother’s death from cancer when Lisa was 16. 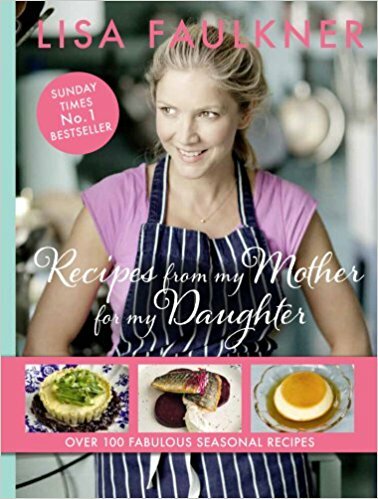 Lisa’s clearest memories of her mum are of her cooking delicious meals for the family, and in recreating her recipes in this book Lisa is not just keeping her mother’s memory alive – she is also able to pass on to her own daughter, Billie, the love of cookery she inherited from her mum. With evocative photographs and over 100 easy-to-follow recipes, you too can tempt family and friends with fabulous home cooking all year round. With anecdotal snippets from Lisa’s life as well as invaluable personal tips, the recipes include dishes suitable for entertaining – My MasterChef Fish Stew, Pan-fried Scallops with Chestnut Soup and Summer Berry Mille Feuille with Vanilla Cream – alongside failsafe family fare: The Best Fish Pie, The Perfect Roast, Nanna’s Bread and Mummy’s Christmas Cake.